This entry was posted in Science and Modern Society and tagged fukushima, press, radiation, radioactivity. Bookmark the permalink. I thought Sample did a good job reporting this story. The Fukushima Daiichi nuclear plant is a very simple case of incompetence. Who ever was involved in making the decision of building nuclear reactors on the most dense earthquake zone on the planet should be remove from their responsibilities. It seems to me that the probability of such a disaster was 100% within the life time of the reactors. If you take all the catastrophic scenarios for each and multiply them with the number of reactors, no less than 0% reliability. Nuclear is not the answer unless the reactors are outside our natural radiation shield, Earth’s magnetic field and atmosphere. Put them on the moon, for God sake, NASA will be happy with that, $$$ ! Shut all of them down, and I believe all the countries that were affected should demand it. God gave us a brilliantly conceived furnace to live by let get our collective intelligentsia together and find ways to satisfy all nations. Energy should be an international policy that all nations could benefit from, maybe it will reduce the number of conflicts, as well? I apologies for this political post. To bring the entire world up to the same energy requirements as the average Englishman in the next generation would require reactors coming online every few weeks the entire time. The equivalent using renewable power would involve wind turbines going up every few hours or solar panels coming on to the grid every few seconds. All of which have to work with decent efficiency in order to make as much money as they lose. Just the logistics of this puts renewable far off being sufficient not only physically but also financially. As the subsidies have died many of the major manufacturers are suffering badly with Chinese companies losing billions. Check Suntech, rated one of the top solar companies not more than a year or so ago now its defaulted. Sinovel one of the biggest wind turbine companies now about a fifth of its value despite government money flowing in to it. Pick nearly any of the big manufacturers they are all the same. The renewable companies are over producing for a market that cant afford to cope with the supply. Fusion development would of course be ideal but is still many many years away even if you ignore the fact there will be inevitable delays. Renewable is certainly improving and spreading, its picking up a larger and larger percentage of the power generation all the time but for the foreseeable future it is simply not enough. Nuclear is a part of the solution, wanting it to be eliminated will do nothing to improve the renewable market situation and will only see the power it could be generating produced at traditional and much more dangerous fossil fuel plants instead. But you are correct, the west is burning off more BTUs than the rest of the world. But, like we became accustomed of over indulging in energy we have been taking steps to live more efficiently and “our” energy policy, now, is derived by efficiency of applications. Again, China, in her rush to catch up has elected to waive that requirement. And I don’t blame them, their needs of tending to 1.5 billion people are great. We need a responsible energy policy (internationally regulated) to satisfy ever one. Again, nuclear is not the answer, nor a part of the solution, because of that 24,100 years half-life (Pu-239). It is like a terminal disease, it doesn’t kill you right away, but it will kill you (our species). We must learn to live with less and without time bombs. I hope Professor Strassler is not upset for this discussion, but it is one that science community have a major role in and should be directing policy more than the consumers. I hope Project X is successful and maybe we can learn more about high energy particles, like the neutrino, maybe the path to the Holy Grail is through the neutrino? Im afraid your analysis of the waste issue is common hyperbole. Pu-239 can and is utilised as a fuel not a waste product. Whats more the high level waste of nuclear reactors drops to a thousandth of its potency in around 40 years. Thats why its stored nearby in the first place. They of course couldnt keep tens of thousands of years of waste fuel on site. It is still very much a problem and needs to then be sealed in glass or some equivalent before permanent and careful storage but its many orders of magnitude less of an issue than the 24,100 figure implies. (A simple demonstration of why the half life figures are meaningless without context is to simply note that the natural plutonium in the Earth has a half life up in to the tens of millions of years.) It certainly wont ever threaten humanity which is more than can be said for our current carbon output. To hopefully clarify my point, renewable power is maxed out, we now have more renewable technology on the market than people are willing to buy. So this is certainly not an argument of renewable vs nuclear. It is probably the biggest problem with any discussion on modern power concerns that it has come down to rivalry between the cleaner groups while the traditional power stations continue to generate over 90% of our energy. This isnt how good competition flourishes. If nuclear can take over a percent of the fossil fuel power problem that is only a good thing. The fervent denial of a superior stop gap in our power generation will, and is, doing far more harm than good. It is after all tacit approval of the coal, gas and oil industries. As for the future of power, by far the most proven and promising project remains ITER. There have been a lot of promises from fusion development but I am quite confident that ITER will be a working proof of concept within the next couple of decades. Could you gives us an article or two on Project X at Fermilab. Will it ever get built? You read the same stuff on their website, but I am sure you are more informed and know more than what they are feeding us. It certainly sounds very interesting and puzzling at the same time. A lot of the stuff they want to accomplish overlaps with the LHC. Is a minus or a plus, reason not to fund it or a reality check on LHC and hence vital to support the LHC data? Oh yes, is there any data, both real (empirical) and imaginary (theoretical) that suggest that universe didn’t start at a maximum temperature then started cooling after the big bang, but rather the singularity was at a uniform temperature then a sharp increase (big bang) before it started cooling during the inflation period? I agree that the harder jobs are ahead. And, at least he correctly calls them “fuel rod assemblies” unlike the later picture captions where they are called “fuel rods.” However, for his paragraph to be totally correct, they are the “once-molten cores”. Any melt is solid now. And did the molten fuel “burn through” its steel primary containment or did it “melt through”? I do not think it was an oxidizing reaction and “melt” is more appropriate. And how much? It may be a minor hole via the control rod or instrument penetrations in the reactor vessel — enough to lose pressure and slowly leak water — or it may be a “core-on-the-floor”, but there really isn’t enough information to know at this point. I suspect the former, or they wouldn’t be circulating fluid through the intact piping. 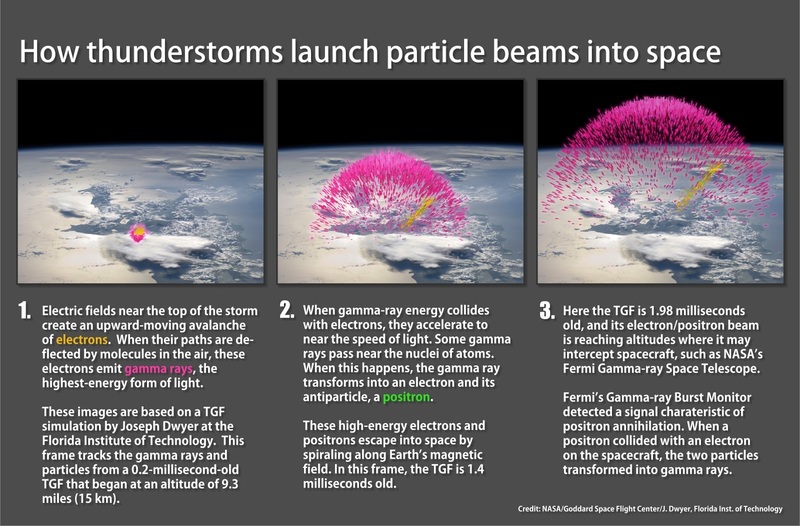 Fermi satellite looking at thunderstorms, I thought would have been a unique tool for looking at that plant. Just to keep tabs on them? I applaud your efforts to encourage greater integrity and professionalism in the field of journalism; but that problem is getting worse, not better. In many ways, society is experiencing far greater actual harm from bad journalism than potential health risks arising from the Fukushima incident. Thank you for calling out the truthout.org article. There is a relative in my family who likes to use such web sites and I’m usually pointing out to her what is wrong with such commentaries and “reporting” from such activist web blogs. So I sent your email announcement to her. One should always be VERY suspicious of any web site with the word ‘truth’ in its URL. Thanks for pointing out this example of good science journalism. Often we only hear of the bad examples. I also find it helpful that you provide clues to what makes bad science journalism bad. That will assist others in spotting bad journalism in the future. I find it a little surprising that you state your support for the elimination of nuclear power. That is a very unequivocal statement on a subject that you have just indicated you do not yet understand well enough to write about. I do not know enough to have a firm opinion about nuclear power one way or the other. But I do know that the issue is an extremely complex one. Can you conclusively say that the dangers of nuclear power, for example, outweigh the dangers of fossil fuel pollution and climate change? Japan has already announced that it will not meet its previously stated carbon-emission goals due to their reduced use of nuclear power. And do you really know enough about new passive-cooled reactor designs or small modular reactors to say they should be eliminated before we even try them? Again, I admit I do not know the answers to these questions. Consequently I am not willing to advocate either way. I’m not an advocate one way or the other… I just stated my views so that people would know my biases. I agree coal is awful and nuclear power is obviously better *when it works*, but when it goes wrong it makes such a terrible mess! I do know something about the newer reactors, but they don’t entirely resolve my concerns… there always seem to be hidden assumptions that multiple things can’t go wrong at once, which is of course just what happened in the earthquake and tsunami. The lack of imagination is a bit scary, given the potentially dire consequences. The need for advanced renewables is obvious, but the real question is what fraction of our needs can they cover — and to what extent can we cap our needs. It seems that nuclear accidents are to coal what plane accidents are to automobiles. They are rare and spectacular, and thus get a lot of coverage. Plane travel is much safer on average, but the public perception is skewed by the coverage. If Secretary Chu is correct, nuclear would seem to be safer than coal. Of course, somehow one would need to normalize by the percentage of world power derived from the two sources over the time frame of his estimate, but I can’t imagine doing so would change the result by three orders of magnitude. On the Science Channel and its spinoffs, anyone who wrote a book becomes the foremost expert. “It’s Possible” becomes “It Happens.” “Maybe it’s possible” becomes “It’s true.” Sometimes I laugh, other times I have to leave the room. Wormholes and Morgan Freeman, Bah. To be honest, the coverage of Fukushima grinds my gears somewhat. Somehow the tsunami that took ~20,000 lives and blighted countless more, and that has left whole towns scoured to their foundations even now, two and a half years later, has become a mere coda to the nuclear boogie-man. It would do us well to remember the real tragedy here. I certainly see where you are coming from. According to the Guardian article, 20,000 people were killed by the tsunami, and no one has died from the radiation accident. On the other hand, the radiation accident has semi-permanently displaced 160,000 people and will not be cleaned up for about 40 years. It is foolish to try to quantitatively compare the human suffering caused by two different events, but reasonable people can at least agree that both incidents are tragedies. Another possible reason for public focus on the nuclear power plant accident over that of the tsunami may be that there is currently no known way to prevent tsunamis, while the nuclear accident could have been prevented. People tend to accept natural disasters as inevitable, but become indignant over man-made ones. To be clear, I am not trying to justify the imbalance in coverage. I am just suggesting some possible reasons for it. What displaced these people was not the accident but rules and regulations which come with nuclear technologies. Most of evacuated areas are perfectly safe to live in and in no direct radiation danger. Of course it’s also sad that TEPCO incompetence is proving these regulations right. It is true that we cannot shut down tsunamis but we can shut down nuclear power plants. It is also true that we can shut down our cars which take much higher death toll on population than any nuclear accident ever did – but we don’t. Why? Because we consider the amount of death caused by car traffic acceptable. The only reason why nuclear is not accompanied with the same level of acceptable risk is the irrational fear of it. The world economic damage from that completely avoidable situation is considerable. ecology is suffering big time, not from the radioactivity, but from the coal plants going up. The Guardian’s conclusion I had in essence on my site many times, but it’s worth repeating:”Two years ago there was a huge earthquake and tsunami that killed around 20,000 people. But every day when I read the paper, it said, ‘nuclear disaster, nuclear disaster, nuclear disaster’. In actual fact, not one person has died of radiation, nor is anyone likely to. Another fact worth remembering: there were tsunami warning engraved on stone monuments in the forests in the area, 12 centuries old. TEPCO instead cut down the cliff to sea level, to establish the reactors, without serious back-up, at sea level. Nuclear plants with correct back-ups further north did fine. I would like to know, not only who would allow a nuclear plant to be built in an earthquake, flood or tsunami zone, but who it is that also allows people to live and build homes in these areas. Very poor planning, and greed has a lot to do with it. Maybe many of these people that are dead set against and spread misinformation about nuclear power represent those who have the most to gain if we don’t build nuclear. “In actual fact, not one person has died of radiation, nor is anyone likely to.” Where is a proof of that? Why is this unproven propaganda called an actual fact? How can a forecast for the *future* be an *actual fact*? Fact is that the Fukushima event released high doses of radiation that is known to cause illness and deaths. Fact is also that the Japanese authorities did not provide means to measure the radioactive dose that each person received, which would allow for scientifically based estimates for the damage done to the health of the population. Fact is further that some of the population lived in rural areas and did not receive much attention by the government at all, and no with the evacuation has been displaced and dispersed in a hurry, so who could actually provide well-based health facts and statistics to show that the event did no harm to them? Further, in the statistics it may not show up if several thousand or ten thousand persons will die prematurely over the next several decades due to the Fukushima event, but this does not mean that the effect is not there. There was also good reason for the newspapers to worry about the nuclear disaster every day: There was a significant probability that uncontrolled processes at the Fukushima plant could release much more radioactivity into the atmosphere than already happened, and it was only a matter of good luck that in the days of the accident most of the contaminated air was blown out to the sea. A different direction of the wind, combined with even more radioactivity released into the air, made the scenario of a radioactive contamination of the Tokyo area a possible one. Such a situation, which would have made necessary an almost-impossible evacuation of Tokyo, would have caused many thousands of deaths and injuries by the probable mass-panic and chaos alone, not to mention the long-term effects that the evacuation would have taken place in the midst of contaminated air. This scenario was a reason why the Japanese government insisted on continuing the desparate attempts at the Fukushima plant to somehow contain the radioactivity, although it was known that this would expose the workers to very high levels of radiation and other life-threating risks when working in the ruins. Finally, I find it an unfounded assumption in the Guardian article to give a number of “40 years to fix the mess”. How can you place a number for a work if it is even not clear what the concrete steps of the work will be, and if the current company doing the work is considered to be incapable of doing it? And where will all the radioactive stuff from this “fix” be stored for the next 25.000 years or so? The activities at the Fukushima plant are far away from following a planned step-by-step procedure to dismantle the site; the plant is a wreck that in parts is still inaccessible, and the work is an ad-hoc treatment of the most immediate dangers, which in turn causes new dangers. Finally, one cannot get rid of the radioactivity (except by waiting that it naturally ceases, which takes very long times for some involved isotopes), the handling can only be storing it in a different place (which is merely moving the problem in space) or distributing the radioactivity over a larger volume (such as releasing the contaminated water into the ocean) and hoping that the mixed-down concentration does less harm to human health and the environment. I think an honest conclusion should state that there is no safe, plannable way to handle the situation at Fukushima; instead, it is a continued attempt to contain the most harmful dangers, using means that are creating other, but possibly less harmful dangers. The consequence of seeing an almost unmanageable disaster is that it is highest priority that such events cannot occur again. And that is abandoning the use of nuclear energy. Those who state “Fukushima was an old and ill-planned plant, much safer plants can be built now” should remember for a moment that at the time when Fukushima was built, it certainly was considered the best and safest technology available. Those who want to sell us a new generation of nuclear plants, advertising again that they now have the best and safest technology available, please answer the question: What will the engineers in 50 or 100 years say about the technology of the nuclear plants you intend to build today? Will they still say that is 100 percent fail-proof? 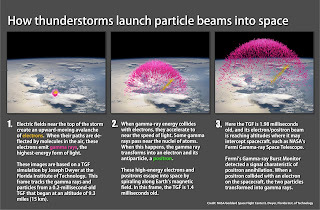 Or will they explain after more accidents, that are certain to occurr, why it was technologically inevitable that such accidents occur, as is now done for the Fukushima plant? This is an example of the type of ignorance the public has received as a result of many bad articles. The guardians statement is in all likelihood correct. The people in Tokyo, were never in any danger, and different methods would have been utilized if there ever was a grave risk to their health. In essence the debate about how many deaths are caused by radioactivity boils down to the following observation. Is it justifiable to simply take a tiny delta increase in radiation exposure and multiply it by the amount of people exposed (which is large). This leads to estimates of several hundred eventual casualties due to increase cancer risk in the far future. While this is a straightforward application of the linear no threshold standard in place, it is dubious in the sense that this is a threshold many times lower than pre existing uncertainties. For instance, people living in Colorado receive many times the lifetime dose of natural radiation then anything anyone near Fukushima have received or will receive. Barring a catastrophic event. I agree with this remark; the sheer complexity of what is required to end this crisis, the length of time it will require, and the ongoing risks that something could go wrong and things could get worse, is extremely disturbing. But I think anyone reading the Guardian article will get this impression — I wouldn’t fault them for it. What I like about the article is that it states (correctly, as far as I can tell) that nothing awful is happening right now; that there is as yet no confirmed evidence that what happened back in March 2011, when things were bad and in danger of becoming much worse, is killing people; but that the risks of things becoming bad or worse, and even going completely out of control, are by no means small enough for comfort. I think that’s the right balance. I can’t believe some of these replies. The required time for cleanup and the impact on the environment should, I think, give any reasonable person pause when considering nuclear power. It is clear to me at least that regardless of whether the initial cause is a natural event or human folly – when we lose control of nuclear energy the costs outweigh the benefits. Certainly ‘locally’ (and locally here requires a new definition that dwarfs any meaning it would have in relation to a fossil fuel plant mishap). While some of you note that Fukushima was an old design, I see any new reactor that is ACTUALLY being built as this same basic design with a few more bells and whistles. Once a nation or an ally of one that develops a full enrichment infrastructure, it opts for a reactor design which is the most cost effective but is not the best from the viewpoint of safe long range operation (see LWR verses CANDU reactor design). This approach has clearly proven pennywise but pound foolish. Instead of a thriving nuclear industry we have a declining one where each new disaster (and there are bound to be more) guarantees further decline. And that is a true shame. I actually loved the usual info an individual supply in your guests?